Known for years as the top smoke at the Grey Area Coffeeshop in Amsterdam and now is available to the rest of the world. The Silver Bubble is a balanced mix of 1/4 Northern Lights, 1/4 Skunk and 1/2 Haze. She finishes in 10 weeks tops or mid-October outdoor. The Silver Bubble is mold resistant and can handle the cold. She is a moderate to heavy eater and will stretch a bit if not controlled. Pinching is a great method, or topping works good as well. The smell of the Silver Bubble is unique, and the color is a silver shine glistening thru the HPS’. 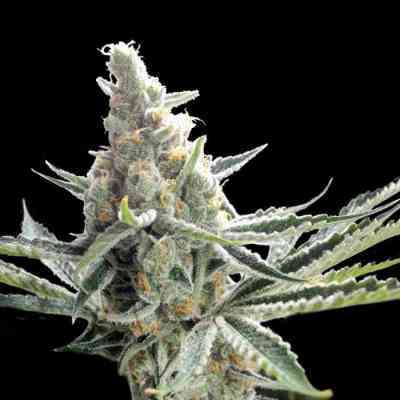 Classic Haze flavor from the smell, to the smoke, to the after taste, classifies her as being a “complete” smoke. It’s exactly what you’ve been searching for without the mystery. If you’re looking for a head stash strain, Silver Bubble is for you and anyone who has been to Amsterdam. They will instantly be reminded of a moment the Silver Bubble got um there!